Plate 4. An integrated model of the dredging devices and gear used aboard the PRINCESSE ALICE II. 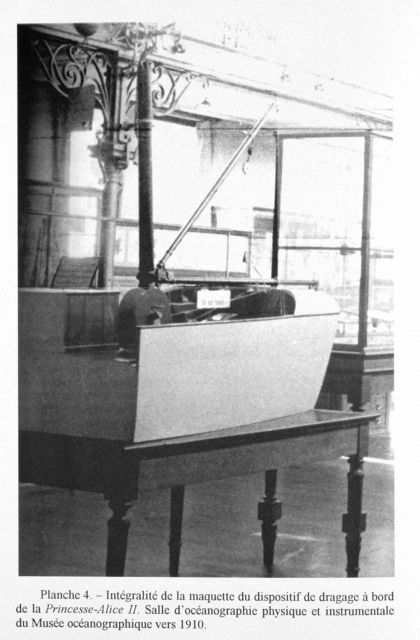 This model was displayed in the oceanographic and physical instruments display room of the Oceanographic Museum at Monaco about 1910.